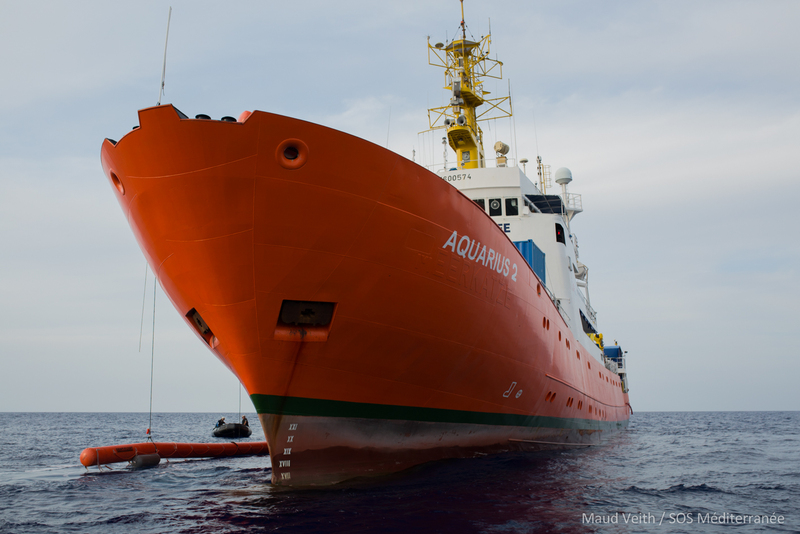 SOS MEDITERRANEE and Médecins Sans Frontières (MSF) are reeling from the announcement by the Panama Maritime Authority (PMA) that it has been forced to revoke the registration of the search and rescue ship Aquarius, under blatant economic and political pressure from the Italian government. This announcement condemns hundreds of men, women and children who are desperate to reach safety to a watery grave, and deals a major blow to the life-saving humanitarian mission of the Aquarius, the only remaining non-governmental search and rescue vessel in the Central Mediterranean. Both organisations demand that European governments allow the Aquarius to continue its mission, by affirming to the Panamanian authorities that threats made by the Italian government are unfounded, or by immediately issuing a new flag under which the vessel can sail. On Saturday, 22 September, the Aquarius team was shocked to learn of an official communication from the Panamanian authorities stating that the Italian authorities had urged the PMA to take “immediate action” against the Aquarius. The PMA message explained that, “unfortunately, it is necessary that [the Aquarius] be excluded from our registry, because it implies a political problem against the Panamanian government and the Panamanian fleet that arrive to European port.” The message came despite the fact that Aquarius meets all maritime standards and is in full compliance with rigorous technical specifications as required under the Panama flag. 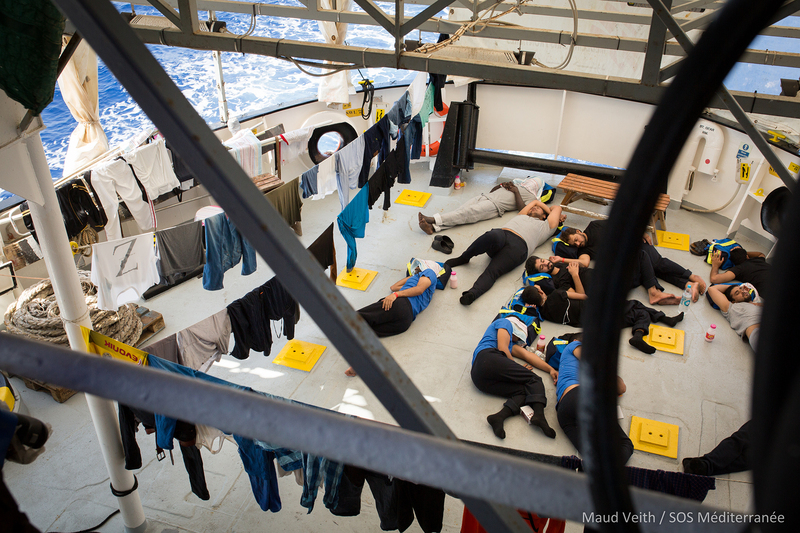 SOS MEDITERRANEE and MSF strongly denounce the actions as further proof of the extent to which the Italian government is willing to go to, knowing that the only consequence is that people will continue to die at sea and that no witnesses will be present to count the dead. Since the beginning of the year, more than 1,250 people have drowned while attempting to cross the Central Mediterranean. 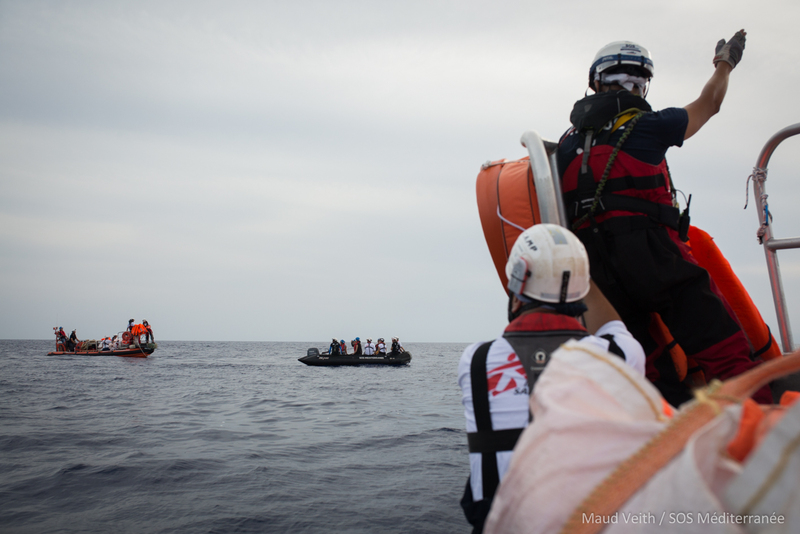 Those that attempt the crossing are three times more likely to drown than those who made the same journey in 2015. The real number of deaths is likely much higher, as not all drownings are witnessed or recorded by authorities or U.N. agencies. This underreporting is represented in shipwrecks like the one in early September in which it is estimated that at least 100 people drowned. Meanwhile, the European-sponsored Libyan coastguard continues to make an increasing number of interceptions in international waters between Italy, Malta and Libya, while denying survivors their right to disembark in a place of safety as required by International Maritime and Refugee Law. Instead, these vulnerable people are returned to appalling conditions in Libyan detention centres, several of which are now affected by heavy fighting in Tripoli’s conflict zones. News from the PMA arrived at the Aquarius while the team was engaged in an active search and rescue operation in the Central Mediterranean. Over the past three days, Aquarius has assisted two boats in distress and now has 58 survivors on board, several of whom are psychologically distressed and fatigued from their journeys at sea and experiences in Libya, and who must be disembarked urgently in a place of safety in accordance with international maritime law. Throughout its current operation and during all previous rescue operations, the Aquarius has maintained full transparency while operating under the instructions of all maritime coordination centres and following international maritime conventions. SOS MEDITERRANEE and MSF demand that European governments allow the Aquarius to continue its rescue mission by reassuring the Panama authorities that the threats made by the Government of Italy are unfounded, or by immediately issuing a new flag under which the vessel can sail.